Pretty, right? 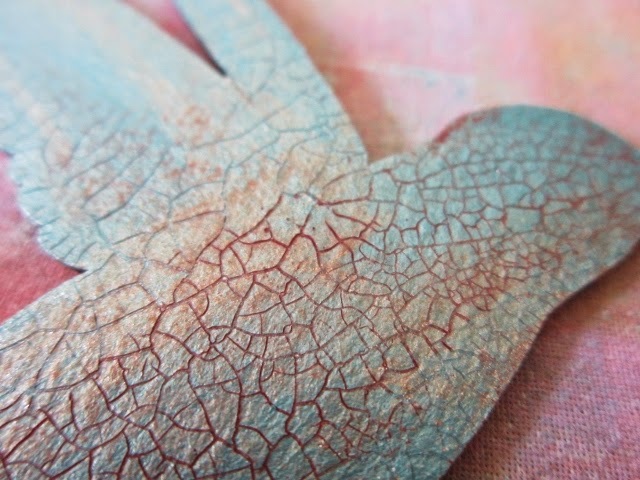 It's several color of metallic paints, with a rose antiquing cream over the crackle finish, all from DecoArt. The sentiment stamp is from Red Lead . . . 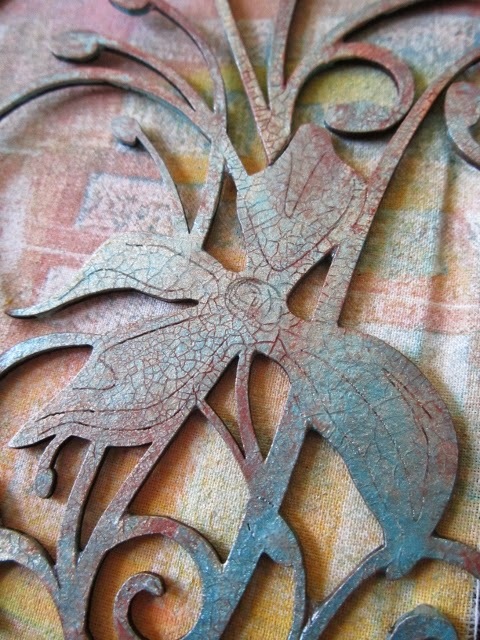 Here is a close up of the Wildwood Flower--I was impressed how the laser cut detail still showed, even after two layers of paint, a layer of crackle finish, and the antiquing cream! 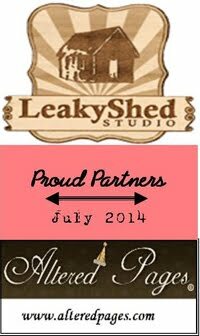 Thank you for stopping by the Leaky Shed Studio today! beautiful--love the color and effect with the antiquing cream! Thank you, Helene! That crackle/cream combination is always a winner! 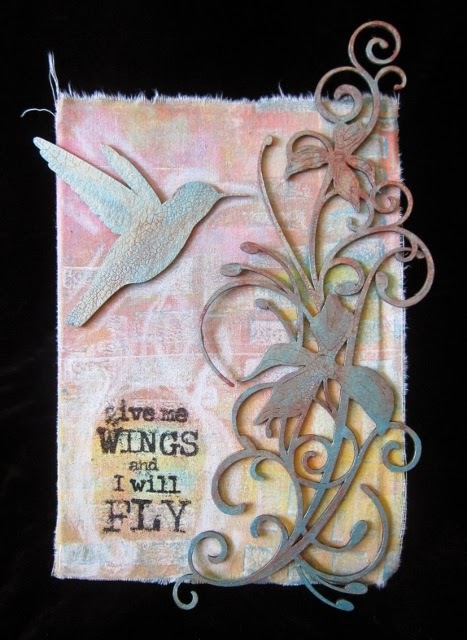 Love the soft color and the crackle medium you used on the chipboard.